Bespoke refers to a product or service that is custom-made. For the past few years, it has been a predominant design movement that has garnered a wide array of attention in retail store and hospitality design. Environments are being designed using commonly found materials and recreating them into applications outside of their norm. Some recent bespoke designs were presented by the Warner Bros. Design Studio to a client looking for unique exteriors. 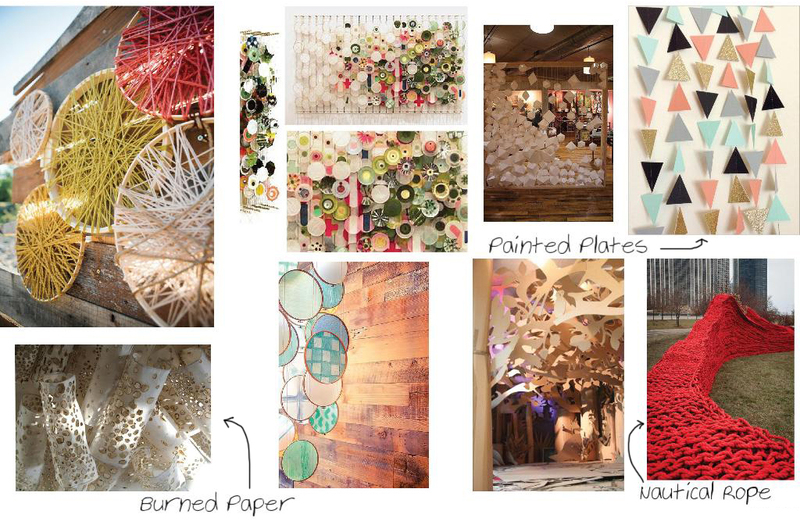 Artful ideas included: a 3D installation of red nautical rope, textured burned paper wall hangings and colorful painted plates on string for a temporary exhibit. Consumers are looking for more site-specific environments that evoke creativity, one-off experiences, and a unique destination. Bespoke is also a great way to bring in local artists and designers who can create within a commercial space and provide an exclusive experience that can only be found within that location and engages the consumer.